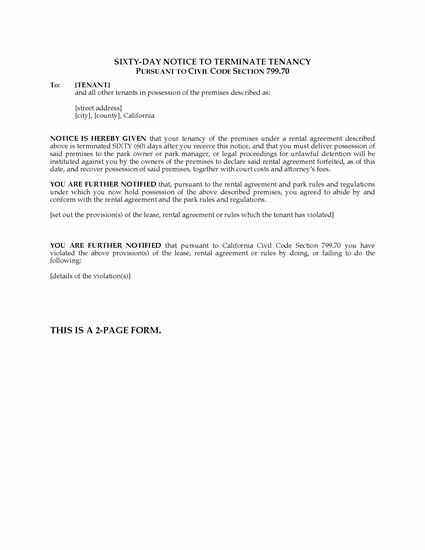 Serve a park tenant with a California 60-Day Notice to Terminate Tenancy of a Mobile Home using this easy template, pursuant to Civil Code Section 799.70. The notice must be served on the tenant by the mobile home park owner or manager. The tenant is notified that their tenancy is being terminated because of a violation of the lease, rental agreement or park rules and regulations. This is a reusable legal form. Buy it, download it, use it as often as you require. The California 60-day Notice to Terminate Tenancy of Mobile Home form is available in MS Word format. Prepare a Bill of Sale for the purchase and sale of a mobile home with this downloadable form for the State of California. 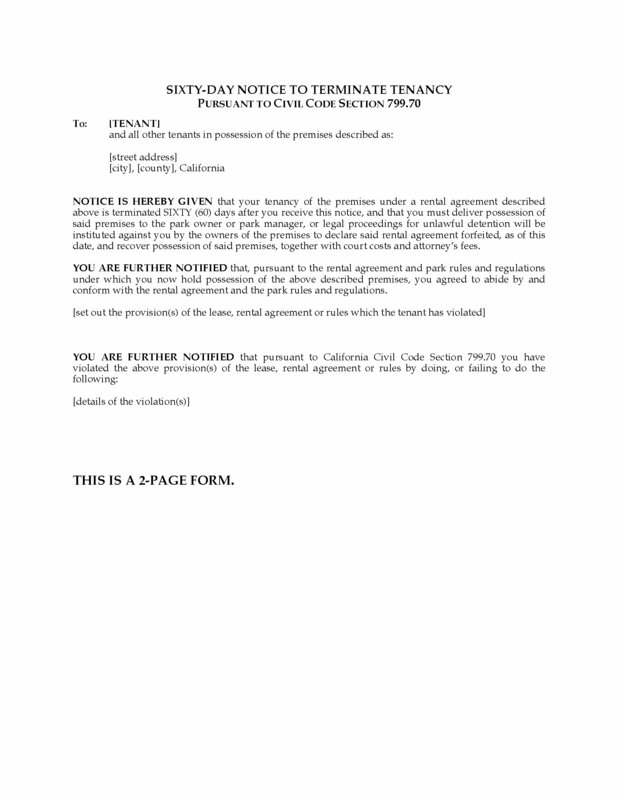 Both the buyer and the seller sign the form and it should be acknowledged by a notary. Before the seller turns over the certificate of title, the buyer must move the mobile home from its present site to its new location. If the buyer fails to perform its obligations, the seller can cancel the Bill of Sale and retain any deposits paid as liquidated damages. Make sure your paperwork is in order. Buy the California Bill of Sale for Mobile Home.